After a week of not so favorable conditions in Butler Bay, the current settled down and these fantastic people got 'wrecked'....not once but twice! We stared at the deep wrecks under beautiful conditions; no current and lovely visibility. (The deep wreck dive includes the "Rosa Maria" a 177 foot car carrier and the "Coakley Bay" a 95 foot tug). It was a treat for all but especially for our local divers for whom this was their first time at this site! 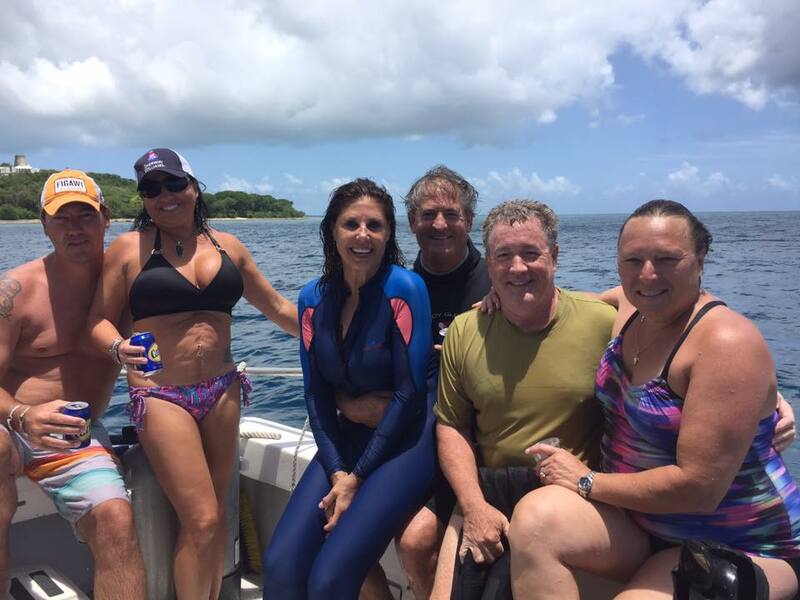 After cookies and pineapple during a long, relaxing surface interval, and a short drive to our second dive site, the divers enjoyed their dive at the shallow wrecks. This site includes the "Virgin Islander," a barge, the "Suffolk Maid" a fishing trawler missing the wheel house, and the always popular tug, the "North Wind." The divers were so enamored with the "Suffolk Maid," the "North Wind" and the school of spade fish that they didn't spend much time on (or in) the underwater habitat or the barge. What a great way to spend Saturday morning! Come get 'wrecked' with us!